Will it all fit? 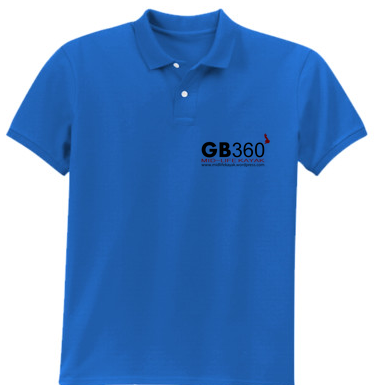 The GB360 kit list…. Half the fun of the round Britain expedition is all the planning that needs to go into it in advance. Not least it provides the perfect excuse to purchase some new kit and some fancy gadgets. This is the list we are currently working to. Hope to have all this together by the end of January – that should keep the Postie busy for the next few weeks (and our wallets)! 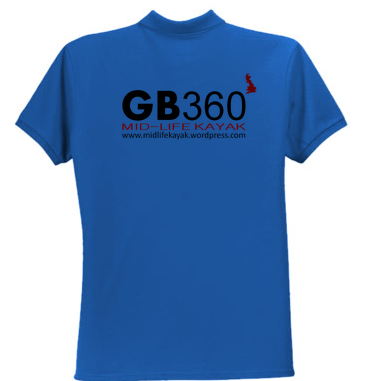 Fashion designer Mike Greenslade has been putting the final touches to the new logo for the round Britain paddle in 2012…..
Now we have the T-shirts printed there is definitely no going back now. I am looking forward to the boxer short version! Round Britain ‘fleet’ is complete! Mike was chuffed to bits this week as he took delivery of his brand new P&H Cetus care of Pete Baars at Summit to Sea. Mike who lives in the landlocked home counties had to settle for the Thames for a trial paddle but initial impressions are very positive. Meanwhile Geoff and I are starting to get kit envy (again).